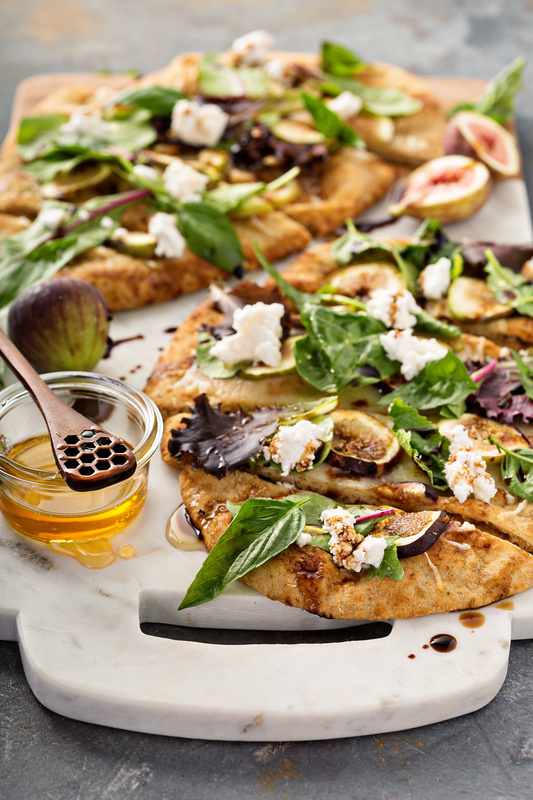 Goat cheese, fresh figs, honey, balsamic reduction… need I say more! This combo is one of my favorites and it’s even more delicious when made on a homemade flatbread. Many of you may shy away from this recipe because you’re probably thinking that you don’t know how to make bread. Well let me tell you, this flatbread recipe is maybe easier to make than scrambled eggs. All you need to make this flatbread is six ingredients, one bowl and one pan. 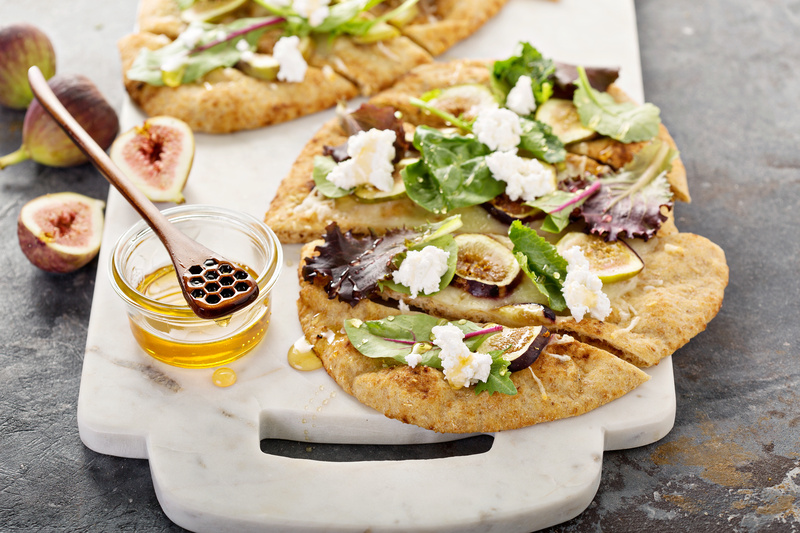 These flatbreads are so versatile you can top them with almost anything and it’s delicious. Below, I added figs and goat cheese but there are so many different options. Another one of my favorites is fresh tomatoes with ricotta or even hummus and fresh veggies. The possibilities are truly endless and I highly recommended you give this recipe a try. Working one at a time, roll out each piece of dough into a round about ⅛” thick. (Don’t stress: They don’t need to be perfect.) Heat 1 Tbsp. oil in a large skillet, preferably cast iron, over medium. Working one at a time, cook rounds of dough until underside is golden brown and flatbread is beginning to puff, about 2 minutes. Flip and cook until other side is golden brown, about 1 minute longer; transfer to a plate. Repeat with remaining oil and rounds of dough. Let cool slightly. Meanwhile, cook balsamic vinegar in a small saucepan over medium-high until reduced by half, about 5 minutes. 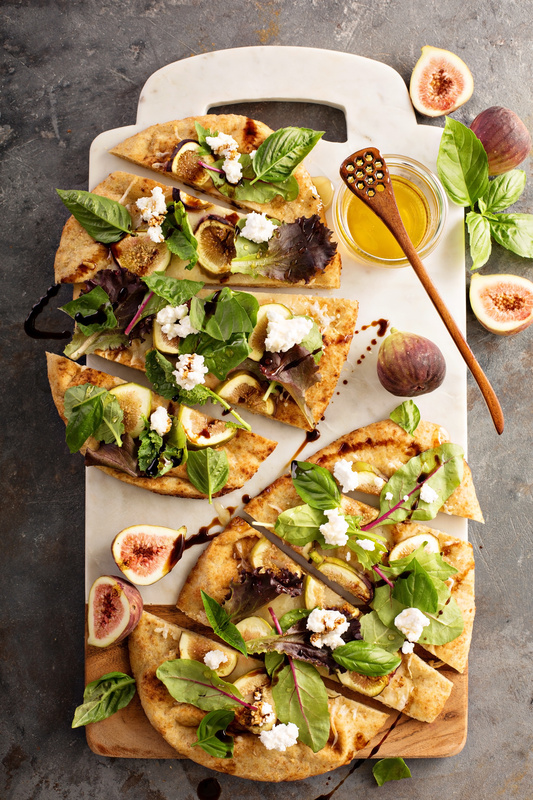 Top flatbread with figs, arugula, goat cheese, and drizzle with honey and balsamic reduction.